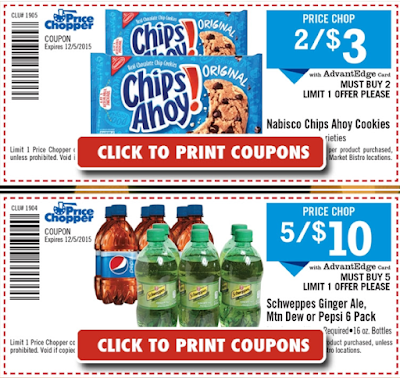 New Price Chopper Bonus Coupons For Nabisco & Pepsi! New PC Bonus coupons - these are in today's Times Union along w/ 2 doubler coupons as well. Plus check out all the doubler deals HERE. Hi Erin! Are Chips Ahoy a Kelloggs/Keebler product? Wanted to use the .60 coupon, but not sure they qualify.